As a member of the Future Library, conceived by the Scottish artist Katie Paterson, Princeton University Library will receive a new book by the Turkish novelist, public intellectual, and political commentator Elif Shafak in 2114. 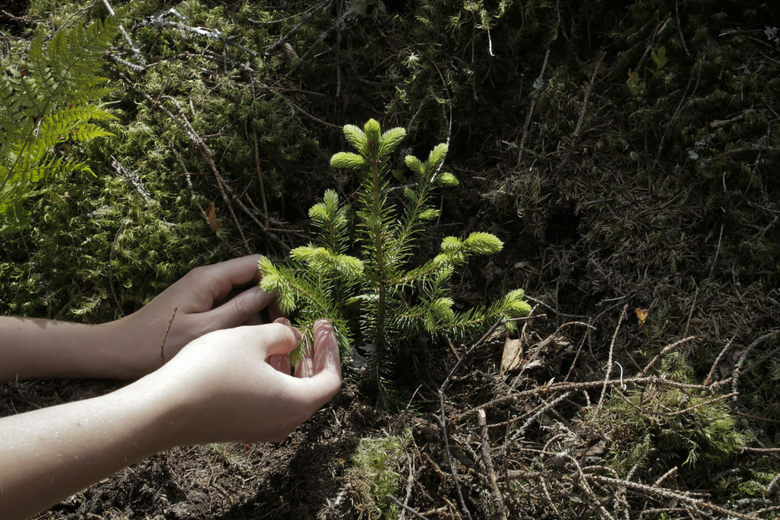 The author will hand over her manuscript for the Future Library on Saturday June 2, 2018, in a ceremony within the Nordmarka Forest, Oslo, where four-year-old spruce saplings are growing. In 2114, the trees will be harvested and made into paper for the printing of 100 books. Shafak is the fourth author to be chosen for this project, joining the Canadian author Margaret Atwood, who was the first to contribute a manuscript, British novelist David Mitchell, and the Icelandic poet, novelist, and lyricist Sjón. If you can’t wait until 2114, you might read Three Daughters of Eve ([London] UK: Viking, an imprint of Penguin Books, 2016). Firestone Library PS3619.H328 T47 2016, one of Shafak’s ten book in English. This entry was posted in Acquisitions on May 8, 2018 by Julie Mellby.